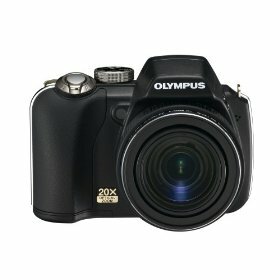 Digitalcamerareview.com has reviewed an ultrazoom compact camera from Olympus, the Olympus SP-565 UZ. This camera features a 20x optical zoom lens and a 10 megapixel sensor. Digitalcamerareview.com ends up giving the Olympus superzoom camera a pretty good rating as the camera is able to take pretty good pictures and the camera has a nice price. Since the SP-565 UZ has manual controls it is suitable for more experienced photographers too. The only downsides are some distortion at the longest focal lengths, some high light clipping and some purple fringing at high contrast edges. Read the full review of the Olympus SP-565 UZ camera here.